Welcome to your free online planning kit! These videos, guides, and articles will help you plan your mud management strategy for your farm so that your horses can benefit from mud-free areas. How much Lighthoof do I need? A guide on how to measure for Lighthoof. You also have access to our network of consultants and ambassadors to discuss your horses' needs with a real person. We've sent you an introductor email and hope you will be in touch! Remember, we are always here to help so just contact us with any questions you may have. 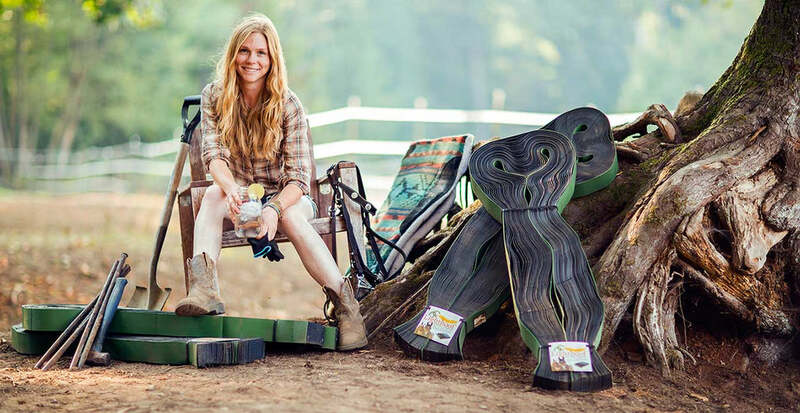 Good luck with your farm project and we wish you many mud-free days ahead! How Much Lighthoof Do I Need? Understanding your farm's needs and how to measure for Lighthoof ensures that you order exactly the right amount of panels for your project. Each Lighthoof panel expands to 6'x12', covering 72 square feet of ground. Don't worry if your paddock dimensions don't fit an exact number of whole panels. Fortunately, you can cut Lighthoof panels with a sharp pair of scissors to fit any space. An easy way to calculate the panels you need is to use graph paper. Each square in the graph paper represents a 6'x6' area. One Lighthoof panel covers two squares. Draw your mud-free area on the graph paper and then use pencil to shade in where the Lighthoof panels will fit. Fill in as much of the paddock as possible with whole panels, making sure you try different angles. Then fill the rest of the space with partial panels. Whole panels are simpler to install, so use as many whole panels as you can first. Panels are easy to cut to fit smaller sizes and spaces. Consider using treated landscaping lumber such as railroad ties to fill in small gaps or edges rather than cutting very slim or small sections of Lighthoof. Make sure to fasten panels together with the included industrial strength EnviroLocks for a safe, long-lasting installation. Read our full blog about how to measure for Lighthoof for even more great examples and tips! Want even more great information? Download this Farm Self Assessment Workbook that is an in-depth guide to help you plan all of your farm and Lighthoof needs. If you have questions about measuring, please don't hesitate to contact us! Know what you need and ready to order? We offer free shipping on all online orders in the continental US. Order now so that you can get started on the road to be mud-free forever! Lighthoof comes in 6′ wide x 12′ long panels. Each panel costs $199, includes 40 EnviroLock fasteners, and ships free anywhere in the continental US. Watch us prepare a paddock, lay landscape fabric, install Lighthoof panels, and pour and compact the gravel. This video includes pro tips, step-by-step demonstrations, and of course adorable horses! Love the step-by-step instructions in the installation video? Here they are, written in an easy format so that you can save, print, and share with your installation team! ¿Necesita las instrucciones en español? Haga clic aquí para obtener la guía de instalación en español. The right gravel is critical to the success of your Lighthoof installation. A little rock knowledge will go a long way in helping you choose an aggregate from your local geology. Lighthoof panels require a certain type of gravel to perform correctly, so be sure you download this guide to familiarize yourself and/or show to your local gravel supplier. The right landscape fabric makes installing Lighthoof easier. 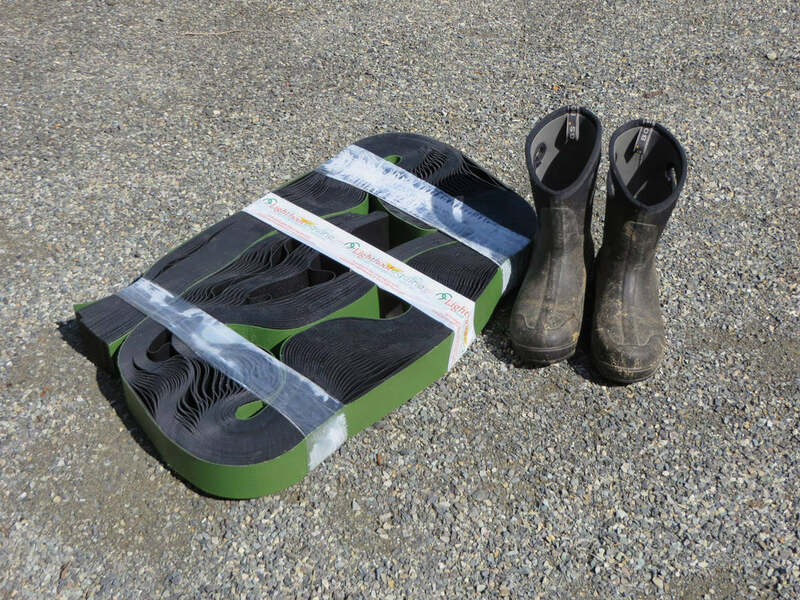 Learn what fabric barriers work best and help paddocks stay mud-free forever. In this helpful article, we go into a bit more detail on how to make sure the edges of the panels don’t get exposed and stepped on. You’ll be glad you read it! Q: How large are the panels? A: The panels are 6’ wide by 12’ long when expanded. Each panel covers 72 square feet. A: Each Lighthoof panel costs $199 and comes with 40 Envirolock connectors for joining adjacent panels to each other. That works out to about $2.76 per square foot. A: Shipping is FREE anywhere in the continental US on any quantity of Lighthoof panels! Contact us for prices on shipping to other countries and regions. Q: Where can I buy these locally? A: Check our local retailer listings to see if a feed store near you stocks Lighthoof. Q: Can I install them myself? A: Yes! Lighthoof panels are simple to install and most sizes of projects can be completed without any heavy equipment or serious earthmoving. Watch our installation video to learn more. Q: I don’t want to install it myself. Do you have installers that can install it for me? A: Lighthoof works with contractors all over the country who can provide Lighthoof installation for you. Find an Installer near you, or let us know if you have a favorite builder or landscaper and we can train them to install Lighthoof for free. No contractor near you? Contact us and we will help you find someone qualified to do the job and train them on installing Lighthoof. Q: I’d like to sell Lighthoof. Can I become a distributor? A: We have several great ways that you can make money and help horses get out of the mud. Check out our Ambassador Program which lets you easily earn commissions from your referrals without having to buy or sell any product, or ask us about stocking Lighthoof at your retail store or becoming a Lighthoof installer. Q: Can they be driven on with a truck or tractor? A: Yes! Once the panels are filled with gravel and compacted, they can be driven on by any size vehicle. 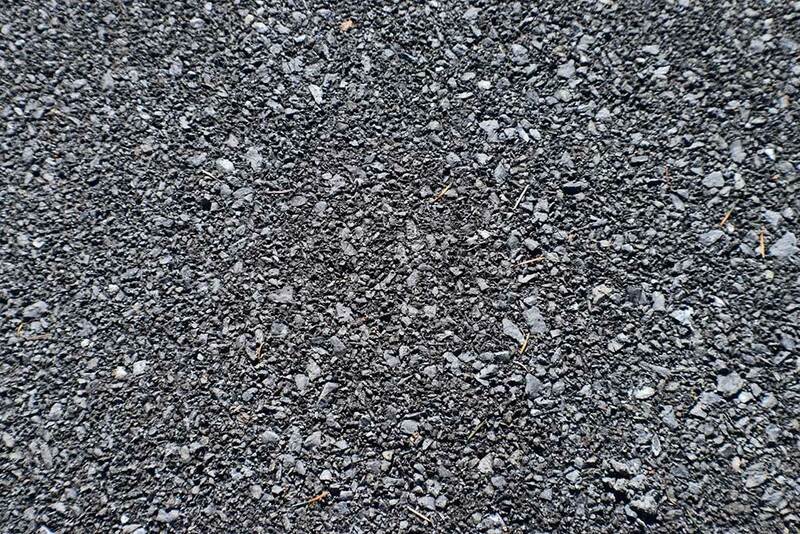 Q: How much and what type of gravel do I need? A: Each LIGHTHOOF™ panel uses 1-2 yards of gravel. That’s significantly less gravel than a hard plastic grid/tile installation! We strongly recommend a ⅜”-½” minus or similar angular crushed rock with fines for the most stable installation. A pea gravel or rounded drain rock doesn’t firm up well. You can put any material over the top as footing once you’ve filled and compacted the cells. Q: Do I have to remove the mud first? A: No! The LIGHTHOOF™ panels can lie right over your existing mud with a layer of geotextile fabric underneath. You may prefer installing in summer to avoid sinking in while you are working. But, if needed, you can install over your existing wet mud. The system will settle a bit as it compresses the mud, so plan to end up a few inches lower overall in the end. Benefit from our years of experience installing and enjoying Lighthoof. We’ve got no secrets, just a lot of hours on the job. Here’s another bonus article to make you an expert too and ensure the most stress-free and longest lasting Lighthoof installation. Don’t miss these pro tips!